Regarding the Atonement, President Brigham Young wrote the following to one of his sons: “To obtain the full benefit of that infinite atonement made by our Lord and Savior is within our reach—is ours—fully and completely, but only so, on condition of our faithfulness in observing our covenants and obligations to keep the divine commandments given to us” (LBY, 259). President Young taught that all hopes for salvation are founded on the Atonement of the Savior, Jesus Christ. Jesus Christ offered mankind an infinite atonement. The Latter-day Saints are believers in the atonement of the Savior, and I would like to have the Elders of Israel understand as far as they can all the points of doctrine in regard to the redemption of the human family, that they may know how to talk about and explain them (DNSW, 18 Aug. 1874, 2). Jesus came to establish his spiritual kingdom, or to introduce a code of morals that would exalt the spirits of the people to godliness and to God, that they might thereby secure to themselves a glorious resurrection and a title to reign on the earth when the kingdoms of this world should become the kingdoms of our God and his Christ. He also came to introduce himself as the Savior of the world, to shed his blood upon the altar of atonement, and open up the way of life to all believers (DNW, 13 Aug. 1862, 1). 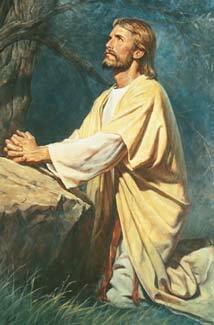 Joseph [Smith] told us that Jesus was the Christ—the Mediator between God and man—and the Savior of the world. He told us that there was no other name in the heavens nor under the heavens, neither could there be, by which mankind could be saved in the presence of the Father, but by and through the name and ministry of Jesus Christ, and the atonement he made on Mount Calvary. Joseph also told us that the Savior requires strict obedience to all the commandments, ordinances and laws pertaining to his kingdom, and that if we would do this we should be made partakers of all the blessings promised in his Gospel (DNW, 22 Oct. 1862, 1). The moment the atonement of the Savior is done away, that moment, at one sweep, the hopes of salvation entertained by the Christian world are destroyed, the foundation of their faith is taken away, and there is nothing left for them to stand upon. When it is gone all the revelations God ever gave to the Jewish nation, to the Gentiles, and to us are rendered valueless, and all hope is taken from us at one sweep (DBY, 27). President Brigham Young taught that “all who attain to any glory whatever, in any kingdom, will do so because Jesus has purchased it by his atonement” (DBY, 30). Through the gift of the Atonement, which only Christ could give, God’s children may inherit a kingdom of glory. The Latter-day Saints believe in the Gospel of the Son of God, simply because it is true. They believe in baptism for the remission of sins, personal and by proxy; they believe that Jesus is the Savior of the world; they believe that all who attain to any glory whatever, in any kingdom, will do so because Jesus has purchased it by his atonement (DBY, 30). Jesus was appointed, from the beginning, to die for our redemption, and he suffered an excruciating death on the cross (DBY, 27). I can say to you in regard to Jesus and the atonement (it is so written, and I firmly believe it), that Christ has died for all. He has paid the full debt, whether you receive the gift or not. But if we continue to sin, to lie, steal, bear false witness, we must repent of and forsake that sin to have the full efficacy of the blood of Christ. Without this it will be of no effect; repentance must come, in order that the atonement may prove a benefit to us. Let all who are doing wrong cease doing wrong; live no longer in transgression, no matter of what kind; but live every day of your lives according to the revelations given, and so that your examples may be worthy of imitation. Let us remember that we never get beyond the purview of our religion—never, never! (DBY, 156–57). Jesus will bring forth, by his own redemption, every son and daughter of Adam, except the sons of perdition, who will be cast into hell. … It is true that every person who does not sin away the day of grace, and become an angel to the Devil, will be brought forth to inherit a kingdom of glory (DBY, 382). Jesus is the first begotten from the dead, as you will understand. Neither Enoch, Elijah, Moses, nor any other man that ever lived on earth, no matter how strictly he lived, ever obtained a resurrection until after Jesus Christ’s body was called from the tomb by the angel. He was the first begotten from the dead. He is the Master of the resurrection—the first flesh that lived here after receiving the glory of the resurrection (DBY, 374). This was no miracle to him. He had the issues of life and death in his power; he had power to lay down his life and power to take it up again. This is what he says, and we must believe this if we believe the history of the Savior and the sayings of the Apostles recorded in the New Testament. Jesus had this power in and of himself; the Father bequeathed it to him; it was his legacy, and he had the power to lay down his life and take it again (DBY, 340–41). Christ’s Atonement makes forgiveness possible to those who have faith, repent, and obey God. Darkness and sin were permitted to come on this earth. Man partook of the forbidden fruit in accordance with a plan devised from eternity, that mankind might be brought in contact with the principles and powers of darkness, that they might know the bitter and the sweet, the good and the evil, and be able to discern between light and darkness, to enable them to receive light continually (DBY, 61). This Gospel will save the whole human family; the blood of Jesus will atone for our sins, if we accept the terms he has laid down; but we must accept those terms or else it will avail nothing in our behalf (DBY, 7–8). To be Saints indeed requires every wrong influence that is within them, as individuals, to be subdued, until every evil desire is eradicated, and every feeling of their hearts is brought into subjection to the will of Christ (DBY, 91). It requires all the atonement of Christ, the mercy of the Father, the pity of angels and the grace of the Lord Jesus Christ to be with us always, and then to do the very best we possibly can, to get rid of this sin within us, so that we may escape from this world into the celestial kingdom (DBY, 60). Why did Jesus come to earth and establish His “spiritual kingdom”? For what other reasons did He come to earth? How did Jesus “open up the way of life to all believers”? How can we teach our families so as to “exalt [their] spirits … to godliness and to God”? How can we be “saved in the presence of the Father” and “be made partakers of all the blessings promised in his Gospel”? Review the following scriptures to learn about other aspects of the Atonement: Mosiah 13:28, 32–35; Alma 7:11–12; 34:9–12; Moroni 8:8–12; D&C 88:6. Jesus was appointed in the premortal existence “to die for our redemption.” He redeems us from physical and spiritual separation from God. This is called the Atonement. President Young stated that Christ’s Atonement “has paid the full debt, whether you receive the gift or not.” (See also Helaman 14:15–18.) How do we receive the full benefit from the Atonement? How was Jesus able to be the “Master of the resurrection”? What divine help can we draw on in order to “escape from this world into the celestial kingdom”? What is required of us?